After selling out at all of its previous venues, Yayoi Kusama: Infinity Mirrors has arrived at the AGO. The exhibit features Kusama’s drawings, paintings, sculptures and of course, her iconic infinity mirror rooms. The six kaleidoscope rooms reflect endlessly, in an immersive and mesmerizing experience. At 88 years of age, Yayoi Kusama continues to work at her Tokyo studio. 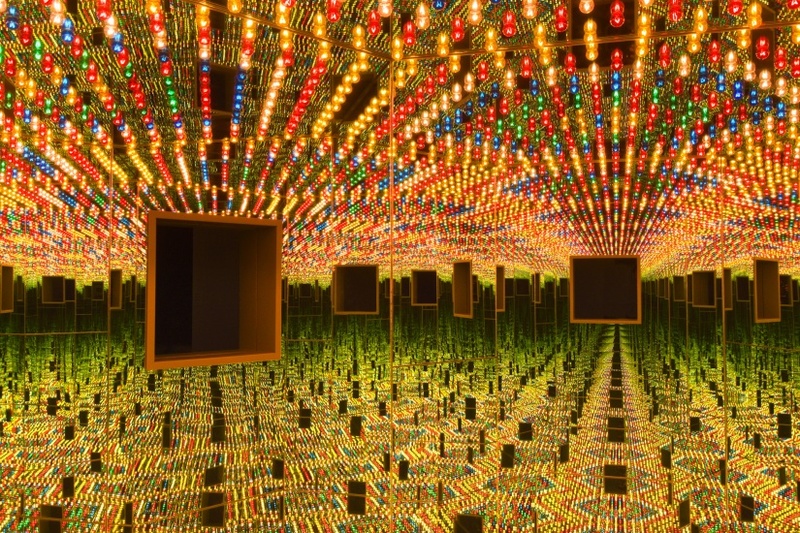 The Infinity Mirrors exhibit reflects the evolution of Kusama’s 65-year career. She was the first woman to have a solo presentation at Venice Biennale’s Japanese Pavilion, and in 2016, Kusama was named one of the world’s most influential people by Time magazine. The Ago is a short subway ride away from both our 305 Roehampton and Hampton House communities near Eglinton Station, and our 105 Harrison and Oakburn communities near Sheppard Station. The next batch of tickets to the AGO’s Yayoi Kusama: Infinity Mirrors go on sale at 10am on March 27. For more information check out the AGO’s website.